Peter Crowe is a passionate musician and teacher with 31 years of experience in education. He has implemented Musical Futures with years P-6 students at Timbarra P-9 College. He first taught as a primary generalist teacher in 1984. After 23 years in the classroom he transitioned into before a Multimedia specialist teacher for 2 years. For the last 7 years Peter has been a Primary Performing Arts and Visual Arts Teacher. Since teaching Performing Arts he has been able to combine his passions for both music and technology. Peter wants to share his passion for learning and the arts with both students and other teachers. Peter is an accomplished singer and guitarist. He also knows the fundamentals for piano, ukulele, bass and drumming .Although Peter has had some formal training he has actually learnt most instrumental skills informally either through self-instruction or peer mentoring. Peter has collaborated with his colleagues to trial, fund and establish Musical Futures. Musical Futures has created a new buzz of excitement with both students and staff at his school! 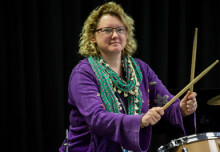 Using a project based approach to learning the students to work in small bands which are given the freedom to choose who they play with, which instrument they play and which songs that want to learn. This makes Timbarra P-9 College one of the few schools in Australia and the world to implement Musical Futures at the primary school level. 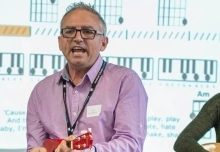 Peter has presented on Musical Futures at a Musical Futures training day for teachers in 2012 and 2014 as well as at a Music Technology Education Conference in 2013. 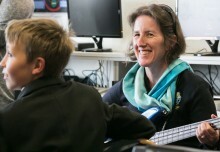 His school’s learning story has been documented as a case study and published on the Musical Futures Australia website. In 2015 Peter participated in a Musical Futures Study Tour of both leading primary and secondary schools across the UK and attended the 2015 Music Futures Music Learning Revolution Conference London. 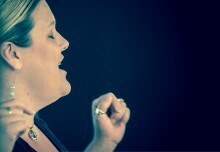 Five words that sum up Musical Futures: exciting, inspiring, project based, practical, personalized and innovative.